By midsummer 2011 the real estate market of Moscow and Russia was again at a crossroads, as, indeed, the entire macro-economic situation in general. The first half of 2011, it would seem, finally convinced everyone that the crisis was over, a REGNUM correspondent was reminded of the analytical center IRN.ru. For such a point of view, there are many formal reasons: the almost twofold increase in oil prices since last summer, and the strengthening of the ruble, and increasing the purchasing activity of the population, and improving the overall mood of the business community. But at the same cost per square meter as one of the most reliable and conservative indicator of economic condition of society for some reason do not hurry to support all this optimism, leading to serious reflection, ascertain professionals. According to analysts IRN.ru, for the first half of 2011 the dollar prices of real estate in Moscow, added about 10%, topping the mark of $ 5,000 per square meter. The index value of housing costs in June (average per month) amounted to 4986 dollars, at the end of the month (last week of June) - 5025 dollars. 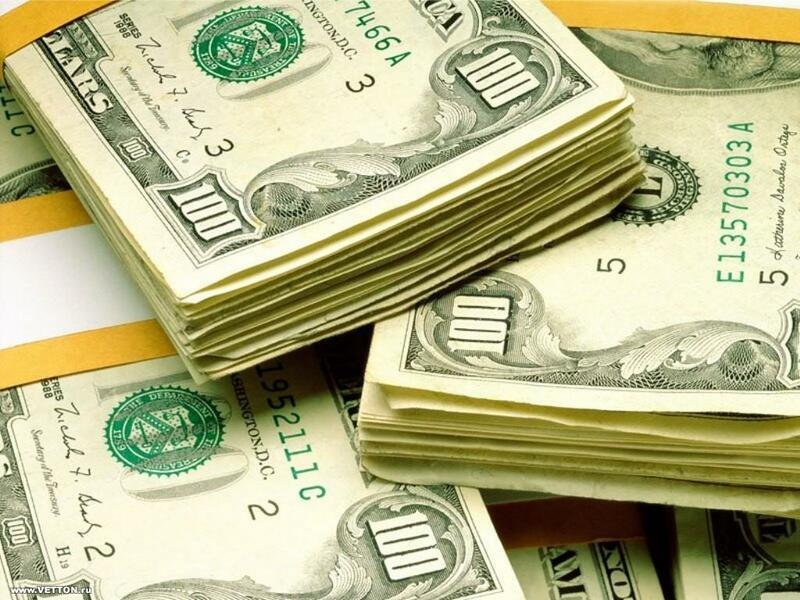 However, if we take into account that the dollar has lost over the six months about the same 10% (30-31 rubles per dollar at the beginning of the year to 27-28 rubles to fly), there is no real growth in the remains, said the study's authors . The average level of prices for Moscow housing fluctuated throughout a semester within the band 132-142 thousand rubles per square meter. Moreover, the experts add, in the corridor of the capital cost per square meter is already in the early summer of last year, showing no steady trend of growth, in contrast to the period from summer 2009 to summer 2010. It should also be noted that sustainable growth and real estate shows no regions of Russia. Despite the formal increase in prices a little, in fact, continues to stagnate and global real estate market. "What price are more significant - in dollars or rubles? Do we need to ascertain the presence of growth in real estate prices in Moscow and Russia, or to claim that growth in general and not the entire year and the market stagnates? Simple answer to difficult, - the IRN . ru. - Speaking of, for example, an increase in oil prices almost doubled (from 60-70 dollars per barrel last summer to $ 127 at the peak of the spring), we mean the growth is in dollars, not rubles. And comparing dynamics of real estate prices in Moscow and Russia and other macroeconomic indicators, correctly assumed the dollar price. However, immediately catches the eye, which is almost twice higher prices of oil and 10% increase in cost per square meter is clearly not correlated. IRN.RU Analytical Centre is no longer repeatedly pointed out that a direct link between oil prices and property prices are not available ". If you talk about pricing for those who are going to buy an apartment in Moscow or the Moscow region, in this case indicative of ruble prices, though often the Moscow real estate is sold for dollars and the euro, added the study's authors. But in terms of consumer demand and the level of solvency of the population ruble prices show that grow nowhere else. However, there are certain segments of the real estate market in which prices denominated in the last six months have shown steady growth, but they are few. 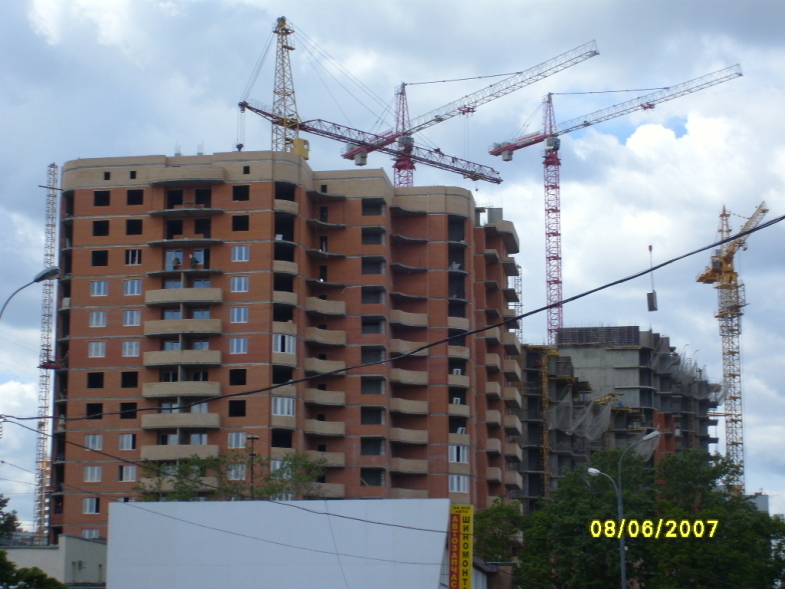 First of all, it's new buildings in Moscow and Moscow region economy class, which over the year have increased in price 10% -15% -20% even in the absence of an explicit general market growth due to advancement of construction, infrastructure development, neighborhood, and often record-low initial price. If we talk about price movements in the districts and districts for the first half of 2011 as a whole, the more added value in still relatively cheap sleeping areas and districts. Thus, the leaders of growth in South-Eastern District, North-Eastern District and all areas outside Moscow. Among the areas of: Novokosino, Kosino-Ukhtomsky, Kozhukhovo, Printers, Teply Stan, the Ryazan Avenue, Kurkino, Molzhaninovsky, Ostankino, Rostokino, ENEA, Novo-Peredelkino, Vnukovo, Medvedkovo Zhulebino, Nekrasovka, Marino, Kapotnya and others. At the same time an outsider was the Central District and the North-West District and Northern District. Prestigious and catching up the center of Moscow at the price of housing and the Western District of South-West district - in middle positions. 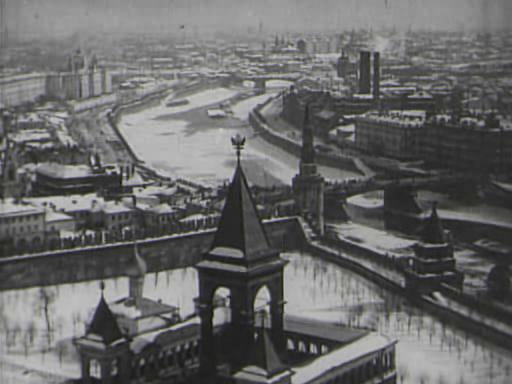 Among the outsiders for the district of Moscow in the 1st half were Polezhaevskaya, Jogging, Tverskaya, Pushkinskaya, Chekhov, Mayakovsky, Okhotny Ryad, Kitai-Gorod, Kuznetsky Most, Lubyanka, the Revolution Square, the Theater, October, Dobrininskaya Paveletskaya, Serpukhov, Baumanskaya Basmanny, Don, Leninsky Prospect, Shabolovskaya and others. Now it is almost equally possible to implement both optimistic and pessimistic scenario in the real estate market of Moscow, Moscow region and Russia. And the outcome will depend even on the events of the real estate market, but on the macro-economic vector, analysts said. "Take for example the drop in housing construction in Moscow, which in the past and this year is a record character, even when compared with the period of the nineties and the 1998 default. And what is the reaction of prices? No! With such reduction proposals of new buildings on the market in 2001-2008 years prices jumped to at times, and last year in rubles no growth in U.S. growth - is negligible, - the IRN.ru. - Moreover, after high-profile ban on construction of housing within the TTC last spring everyone was expecting that the other new buildings shoot up in price, in a hurry to raise the offer price. What is the outcome? Central District, 1H outsiders on the increase in prices, inferior even to residential districts and regions outside Moscow, a segment of modern monolith-brick houses, too. " "Rule" build less - prices are higher "in Moscow is no longer working!" Even before the crisis began in 2008, nobody could have predicted that the volume of construction in the capital will be reduced so much. As, however, few believed that Moscow's real estate may fall in value. But the fact is that now the volume of construction in the capital three times lower than before the crisis, and a half times lower construction volumes in the whole country, and housing prices do not hurry to grow up to pre-crisis levels. And the reason is quite obvious: real estate found itself in the limit of price elasticity, divorced from the real capacity to pay the bulk of the real buyers, even if the mortgage. So even if you do not build, it will still be able to buy only one and it would be enough for the proposals of the secondary market, "- noted the study authors. Further price increases may occur not at the expense of domestic real estate market factors, such as: pent-up demand for housing, consumer preferences and supply reduction, but largely only due to external factors, experts say. Prices for oil, metals and stocks rose for the last 2 years, not because these companies have become more efficient work, and for the extraction of oil workers have to pay twice as much, but because governments have poured into the financial sector a huge amount of liquidity. America is actively printing dollars under the auspices of the quantitative easing (QE), Europe does the same thing in the form of loans and debt restructuring of the southern countries of the bankrupt. Russia has pumped liquidity in a similar way the banking system due to the stabilization fund reserves. And if these processes continue, there will be increasing inflation commonplace due to the growth of money supply, then the property goes up in price next to it. Moscow real estate has the potential to further add to costs at the expense of cross-flow of investment money from the stock market correction in the wake of the latter, as well as through the development of campaign money. Therefore, the experts predict that the housing in Moscow and the Moscow region for the coming year has a chance to grow by another 15% -20% -25%. But, as already noted more than once, like higher prices at the time frenzy, the investment money and to limit the ability to pay the real demand is fraught with a subsequent drop in prices and stagnation, as has already occurred in 2007, after record growth and after the 2005-2006 crisis in the late 2008 and in 2009. Have resolved for these 3 years the very problems that gave rise to the crisis? Whether productivity has increased, there are companies and officials to work more efficiently, and the population - live better and earn more? For many direct and indirect indicators - no, analysts say. Problems are not solved, and the "hidden under the carpet." So, it is necessary to stop printing money to support another, and all can once again roll down, including oil prices, and foreign investment in Russia. But in this scenario will dry up and the amount of liquidity in our country, and budget surpluses, which can accumulate the real estate market of Moscow and Russia to increase the cost per square meter. According to experts of the analytical center IRN.ru, in the current situation, the pendulum may swing back in one or the other way. And the understanding of the scenario in which development has gone, there will most likely closer to fall and it will be largely due to macroeconomic vector. If in the wake of the printing of new money and new programs under the auspices of saving even more indebted, and acceleration of inflation will increase the price of everything, do not fall behind and real estate. If the program does not receive financial support for the active development and will be phased out, all markets, as well as real estate is likely to go in hard with the stagnation of a magnitude correction in prices. The possibility of realization in the Voronezh region scale agricultural project - creating complex to produce a full cycle of beef, including a herd of 500 thousand units and processing plant with capacity of 2 thousand units a day - is considered an American company Anderson Cattle Company. Such a project could cost more than $ 1 billion, but analysts say the place is completely sverhmasshtabny complex in one area is almost impossible. On June 30 this newspaper Kommersant wrote (Voronezh). As the newspaper writes, June 29, Voronezh Governor Alexei Gordeev has met with Chairman of the American investment company Anderson Cattle Company Douglas Anderson and a representative of this company advising the law firm Akin Gump Jeff Verhoffom. "Mr. Anderson, Mr. Gordeev announced plans for a cattle-breeding complex for the production of beef, a full cycle that includes the gene segment, a network of suppliers and calf feed, feedlots and meat processing plant with capacity of up to 2 thousand units per day. The company will be provided by a herd of 500 thousand . heads. The total investment, according to the press service oblpravitelstva, estimated at "hundreds of millions of dollars." Douglas Anderson told the governor that his company specializes in the creation and development of vertically integrated agricultural systems in the U.S. and other countries: in particular , large-scale project was recently carried out in China. "In recent years, experts have been studying the company's implementation of this project in Russia and came to the conclusion that the Voronezh region can be successful for this site" - said the oblpravitelstve. At the meeting it was agreed that company representatives will visit the districts of the region, where possible look for areas of the project. The second round of talks will be held in September. " "It should be noted that Americans could become is the third attracted Alexei Gordeev investors in the establishment of breeding farms in the region of cattle. At the end of last year it was announced that the project company," Stephenson satellite, "which has brought the region 1.4 thousand heads of the parent flock Aberdeen Angus and Hereford. And earlier this year became aware of plans to co-owner of "Centre of Genetics" Angus "" (Kaluga region), Sergei Nitsenko that the fall of 2011 plans to bring in the region of U.S. Podgorensky three thousand head of maternal herds of Aberdeen Angus and Hereford, in 2012 - another 10 thousand, also built feedlots. " "The head of the executive committee of the National Meat Association Sergei Yushin said that" in Russia a good demand for beef, but her proposal as chilled and frozen, is limited to ":" On average, our country produces about 1.7 million tonnes of beef per year , still the order of 600-700 tons is imported. And 98% of our beef is actually produced from dairy cattle, that is, the meat are culled cows and calves of dairy breeds that can not be called efficient production due to its high cost and poor quality products. Moreover, since today we do not increase the milk production capacity due to the livestock, and by increasing the productivity of the cows, the risk of reducing the number of culled animals, respectively, the shortage of beef, we can begin to grow even more. "At the same time, Mr. Yushin called project "too huge" in terms of volume of production and the size of the required investment. He recalled that the attachment size of agricultural holding "Miratorg" a project for the production of beef in the Bryansk region of 100 thousand heads of over 24 billion rubles. "Draft American bigger it several times - emphasizes Sergey Yushin. - So I think that it requires sverhsereznoy study. I doubt that its implementation will begin soon. "One of the Voronezh farmers, who requested anonymity, suggested that the project altogether can not be realized by recalling ambitious plans of ex-Governor Vladimir Kulakov, the partnership with the Government of Bavaria for the implementation of agricultural project in the region worth more than $ 3 billion. " Residents of the destroyed house in the heart of the city threatened to spoil the anniversary of Voronezh, wrote in its issue of June 28 My weekly!. As it became known edition, large-scale reconstruction Lenin Square would not affect emergency house number 6, which residents seek relocation for a decade. As recalled by the newspaper, the 425-th anniversary of Voronezh on Lenin Square is planned renovation: work has already started work on laying the granite slabs and blocks. In addition to the tiles on the area by August 25 will be a new lighting system, as well as parking for 140 places for cars of the regional government. Will be repaired and the facades of adjacent buildings. "To repair the facade oblpravitelstva already started. Also on Lenin Square will be renovated facades number 3, 4, 5, 8, 14, 15. But the house number 6 on the list there," - says the publication. The newspaper recalls that the building was found in an emergency even ten years ago. "In 1996, the detached piece of the cornice had killed a passerby and crippled girl. After this five-story building was surrounded by a fence, and the facade of the house repeatedly artificially pulled down to, God forbid, another piece of plaster fell off somebody's head ... In terms of competition, Ltd. won "Pavlovskgranit-Zhilstroy" emergency building had to be demolished later built on the site a new home. And all the residents of 74 apartments in 2003 was planned to move to next shestietazhku built. However, collapsing in front of residents' stalinka "wait for the housewarming this day. At first a few years delayed construction of a new home, then were thwarted time to take stock of communications and finishing of apartments ... Residents from time to time hold a protest, they called the new settlement terms that are not enforced. Earlier this year, residents again promised to regional administration, that the keys to the apartments they receive by June 1. But so far in the new building so no one possessed ... Moreover, as we are assured tenants of the house number 6, in the new building under construction has been violated several rules: on the landings do not turn around, and underground floors poured groundwater. In "Pavlovskgranit-Zhilstroy" assure that all standards are met when building a house, now completed landscaping, after which the new building will finally be ready to accept tenants. When asked why the construction was delayed, CEO Sergei Moses replied philosophically, that the construction is hard to plan something for sure, "- says," My! ". On the issue of the newspaper, why types of buildings in the center of Voronezh, not to put in order at least to the anniversary of Voronezh, the deputy head of the Department of Housing Rowing Sergei noticed that there is no sense in this, since the house is still subject to demolition, and tenants are categorically against any any repairs. "Sami residents confirm that the mask will not allow his old house for the City Day or repair of the facade, or a net. Moreover, as we said one of the residents house number 6, do not rule out the possibility that the holiday itself desperate people will go to the area with posters Lenin, to tell the city how they deceive the officials and builders. " Voronezh region disrupts terms of providing benefits to rural doctors, writes in the issue dated June 30, "Rossiyskaya Gazeta". "Contrary to the recently adopted amendments to the regional law on sotspodderzhke certain categories of people, from July 1, employees of medical institutions in rural areas do not begin to receive compensation for housing and communal services. Officials promise to urgently finalize the regulatory framework, and then the money will go out oblbyudzheta" - the newspaper writes. "In late May, the Voronezh medical and pharmaceutical workers who live in rural areas, ensure social support in the form of a 100 percent reimbursement for the use of housing, its maintenance and repair (except for private homes), as well as electricity and heat (including the acquisition and delivery of coal or wood) - reminiscent of "WP". - Once upon a time there were corresponding benefits, then the state of their "streamlined." In the Voronezh region in recent years, rural doctors isolated a strictly fixed amount, until recently it was 320 rubles - that considerably lower than real costs. And now, according to the changed regional law on 1 July was due to begin providing cash compensation to the actual consumption of housing services medical staff of regional health organizations residing in the village. sotspodderzhki Similar measures should consider prior to that date and at the municipal level. But the process, as it turned out, was delayed. In the month of June to the Editor "RG" repeatedly asked the representatives of the medical community of the districts, telling that in the local Social Security is not going to proceed to such payments. Now the problem stated at the level of governments in the region. " "The governor Alexei Gordeev has said that the situation in funding for municipal employees sotspodderzhki health institutions should take the regional budget. Ordered to prepare further amendments to the legislation, then they will have to consider and adopt the Regional Council (which will soon disperse on vacation). And only after that will receive cash compensation for all, without exception, Voronezh physicians living in rural areas. " The reconstruction of the monument of Fame in Voronezh will cost 20 million rubles, reported July 1, "Komsomolskaya Pravda in Voronezh." Restoration, which is now being actively planned to be completed by September. "Repair rather cosmetic - told the publication in the management culture of the administration of Voronezh. - Replace the old brick on slab granite, pripodnimut eternal flame, to make it look more majestic. In addition, a new path." "Sam will not remove the monument. It is planned just a little patch up the cracks, because all this stuff for those forty years, the monument is not repaired, have accumulated a lot. But the lighting system will change. However, what it is, officials have to hide. It is said - it should be a surprise for residents and visitors to the Voronezh city's anniversary. All work associated with the reconstruction of the monument of Glory, have to spend about 20 million. The money will come from local and regional coffers. More than 150 graduates of Voronezh, or 1.5%, failed this year to collect a minimum score to pass the exam in Russian language and mathematics. This was in the room on July 2, writes the "Commune". "Head of the Department of Education, Science and Youth Policy of the Voronezh region, Oleg Mosolov informed Governor Alexei Gordeev on the results of the state final attestation of high school graduates and of implementing the project of modernization of the educational system in the region. According to him, this year's unified state examinations in thirteen subjects passed more than 12.5 thousand high school graduates this year and 1,200 graduates of the past. The analysis shows that the increased number of people willing to take exam in the natural sciences, physics, chemistry, and several other subjects of your choice. At the same time graduates have demonstrated knowledge better than in Russia as a whole. In addition, 38 people on the basis of the USE have a 100-point result. But the minimum threshold for the Russian language and mathematics were not able to overcome more than 150 students, or 1.5 percent of the total number of graduates (for comparison, in Russia this figure is 2 percent ). All of them will be presented to the right to correct unsatisfactory marks in the coming year, and while the results of nine years of schooling they have the opportunity to enroll in institutions of primary or secondary vocational education. " "In the commission of a conflict the" first wave "of exam appeals received 1.420. As a result, decided to raise scores on individual criteria in the" with "401 participants, that is one third of graduates. The rest refused. It appeals to the procedure of carrying out - of a formal nature. They have because of the need to annul the results when the child was unable to continue an examination for health reasons. During the examinations under special control, were taken all 79 points passing exam. Tests have shown that serious violations of them were recorded. Rosobrnadzor According to official information, in the Voronezh region was not required by a single stoballnoy and vysokoballnoy work for rechecking. It was not blocked by a single result to the department has not been sent any warnings. And yet a number of violations during the exam was recorded by local observers. Thus, during the Exam-four participants were removed for the use of mobile phones. They were able to take the exam in reserve days and coped with it. The proms 636 graduates were awarded gold and 630 - silver medal ". "On July 17 in the Voronezh region begins the" second wave "of exam. This will be the entrance examinations to higher education for those school leavers who have decided to dosdat some items for those who have graduated from high school a few years ago, for graduates of secondary vocational education, as well as students from other regions. To pass, it will be in Voronezh on the basis of four points. It is expected that it will be attended by about a thousand people. " Кумёнский район: История, события, люди.